Acqua Di Gio Absolu is a warm & sensual fragrance inspired by where the sea meets wood. It retains the original freshness of the original, the cool sea breeeze effect, and pairs it with warm woody and citrus notes, for a sophisticated essence. 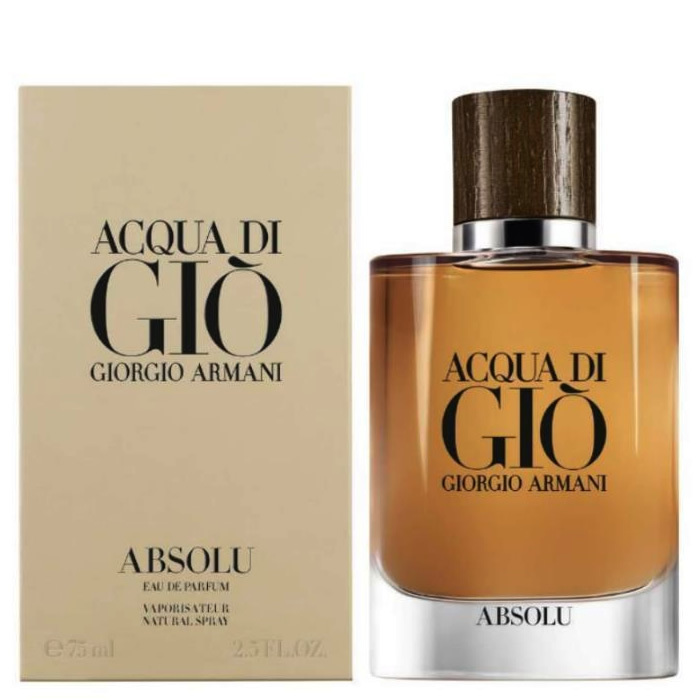 Using marine notes and patchouli, Armani have created with Acqua di Gio Absolu a new bold, refined, and elegant fragrance. The patchouli provides the perfect balance between the aquatic fragrance, the zesty tones of lime and citrus and the woody aromas, creating true masculinity with a sensual twist that is at the heart of the fragrance. The heart is an unusual aromatic blend of geranium, rosemary, lavender and the close is a woody overdose with an ambery addictive warmness of labdanum resinoid that blow masculinity and character to the fragrance in the base.